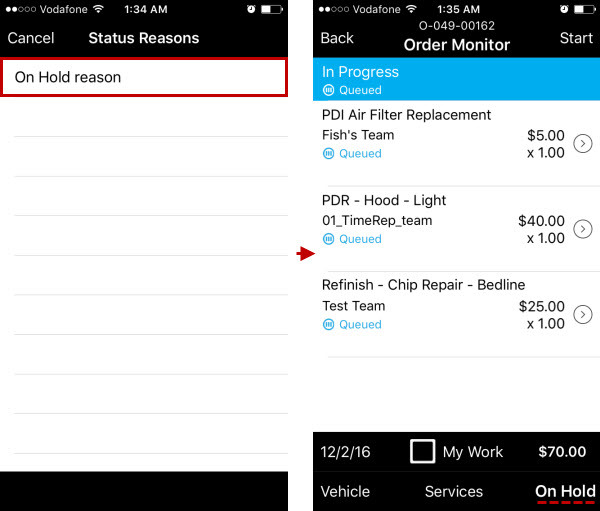 Employees with the Manager role can change repair order status on the Order Monitor screen. 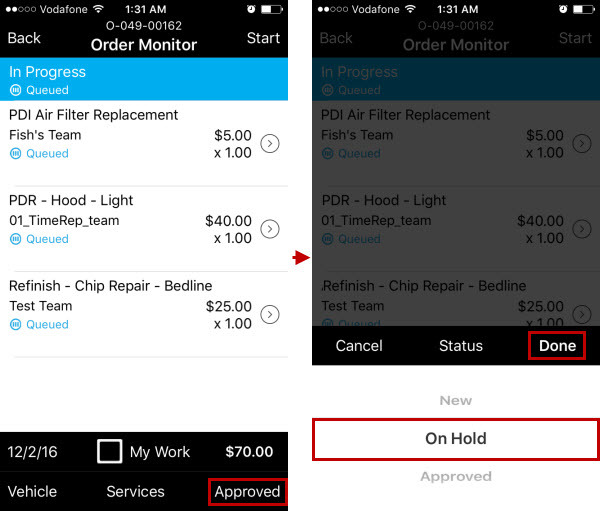 On the Order Monitor screen, tap the current status in the lower-right corner of the screen, and then in the Status picker, tap the appropriate status, and tap Done. Note If the status requires selecting a reason, tap the appropriate reason on the Status Reason screen.